Of thousands of great images from Knowmad travelers, check out the winning shots in the categories of Action & Adventure, Landscape & Scenery, Culture, Wildlife, and Portrait. Thanks so much to you all for your keen photography and for a fantastic year! Brianna snapped this photo while summiting Huayna Picchu Mountain. Climbing this peak sacred to the Inca allows for incredible views over the Machu Picchu Citadel and isn’t for the faint of heart! This photo shows how the indigenous people surrounding Lake Titicaca make even a post-kayaking-on-the-world’s-highest-lake boat ride almost as interesting of an adventure as the kayaking itself. A great shot showing the juxtaposition of the tranquil and sleepy with the rugged and extreme that characterizes so much of Patagonia and Torres del Paine National Park. Culture, scenery, and seemingly limitless expanses make the Sacred Valley of the Inca in Peru a special place. Brett snapped this shot of a village leader giving thanks to Pachamama, the Goddess of Mother Earth (or literally translated at “Mother World”), in the Amaru village Knowmad works closely with high in the hills of the Sacred Valley of the Inca. This classic street scene from Cusco, Peru is exemplary of the indigenous textiles and dress characteristic of certain offshoots of the Quechua people. Bohemian, eclectic, vibrant, real, salty, beautiful, and most of all, Valparaiso, Chile is colorful. Murals and brightly colored World Heritage buildings are scattered amongst the hills above the sea which is where Nobel-laureate poet Pablo Neruda said the town gets its unique soul. 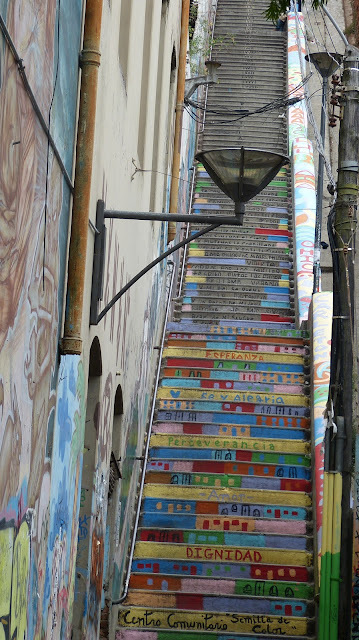 The colored stairs say, “Dignity, Perseverance, Faith and Happiness, and Hope” and above them is a poem. We think that says it all. 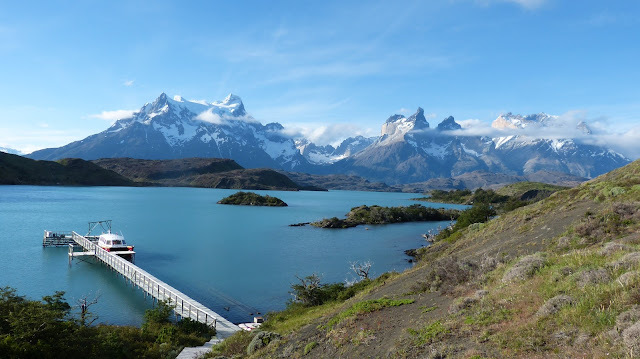 Jamie and friends enjoyed adventure by day and luxury by night while staying at one of Patagonia’s spectacular new lodges The Singular which offers hiking, glacier visits, wildlife safaris, horseback riding, biking, kayaking and more. 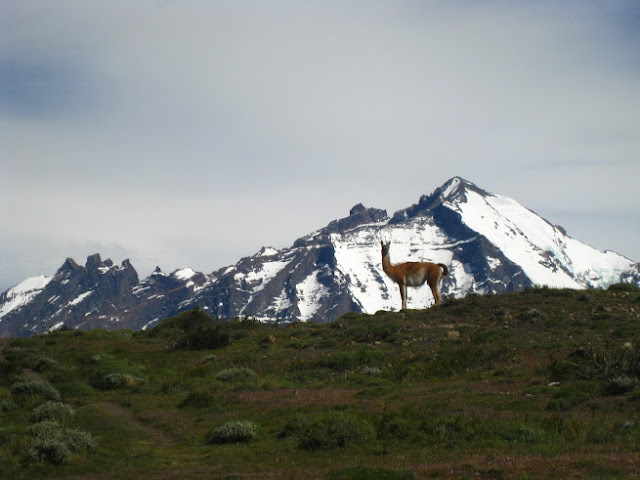 During one of her days hiking in Torres del Paine she spotted this lone guanaco atop a hill. 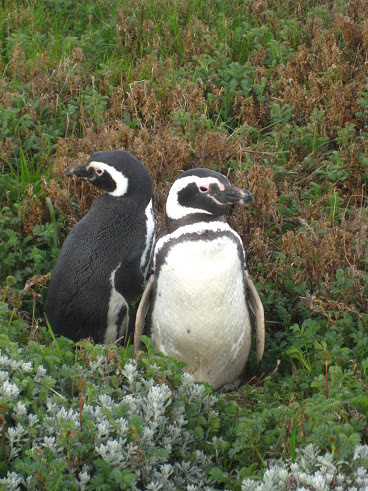 Another great shot from Jamie during her adventures in Southern Patagonia and Torres del Paine National Park. A new category this year so that travelers send us more photos of their smiling faces and not just the beautiful sights along the way! A great shot of the AdventureHer crew getting to know the women of the village from the Peru Active Explorer Itinerary. Hannah Banana, a close friend of Knowmad, looking elated at Machu Picchu. When the family of a Grand Prix motorcycle champion plans a family trip, it’s not all Mai Tai’s and books by the pool; rather it’s a dash of hiking the Inca Trail, a sprinkle of mountain biking the Sacred Valley, a pinch of kayaking on the world’s highest lake, add a birthday celebration with remote indigenous people, shake, stir and serve!